At Pashapour Oral + Facial Surgery, we are dedicated to providing the highest level of patient care while utilizing the latest technology. Repeatedly recognized as one of the top Virginia oral surgery practices, we offer a wide variety of treatments, including dental implant surgery, wisdom teeth removal, bone grafting, tooth removal, sedation dentistry, and more. 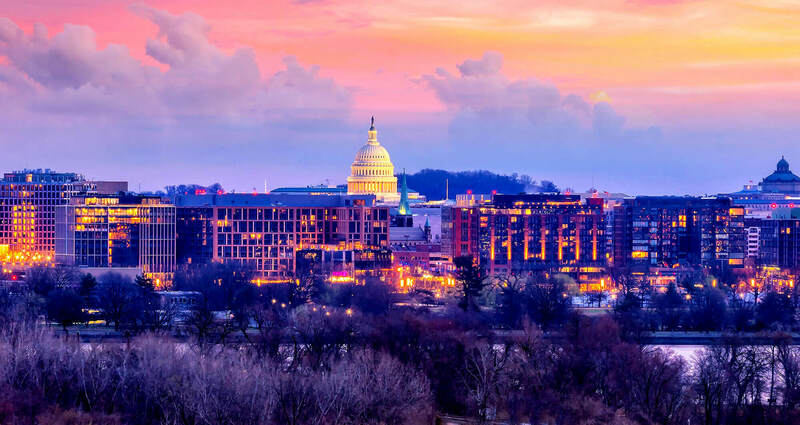 Our office is a full service oral and maxillofacial surgery center that serves the Washington, DC metropolitan area. We are conveniently located just 2 blocks from the Clarendon Metro Station. Our office is an approved AAAHC (Accreditation Association for Ambulatory Health Care) surgery center that uses state-of-the-art technology and equipment. We pride ourselves on offering the latest surgical procedures and techniques as they become available. 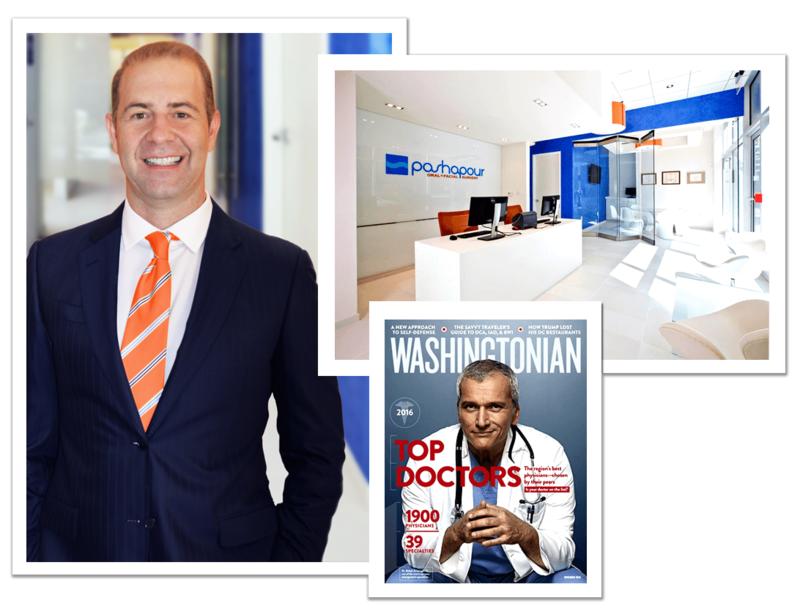 We make every effort to provide the finest surgical care and the most convenient financial options for our patients at Pashapour Oral + Facial Surgery. To accomplish this goal, we work with you to maximize your insurance reimbursement for covered procedures. If you have any questions about our insurance policies, please call our office at 703-566-1990. Please bring your insurance information with you to your consultation so that we can expedite your visit. At our Virginia oral surgery office, we pride ourselves in using the latest dental technologies as soon as they become available. Advances in dental technology have made oral surgery simpler, and more comfortable. As we incorporate these technologies, surgical procedures become more effective while being less invasive. At Pashapour Oral + Facial Surgery, some of our most frequently used technologies are dental x-rays, cone beam CT scans, intraoral camera, and cancer screenings & biopsies. A dental x-ray, which may be referred to as a dental radiograph, uses low levels of controlled radiation in order to form a detailed picture of your jaw. Dental x-rays are a very useful tool for diagnosing various dental conditions. A dental x-ray may be ordered prior to a surgical procedure in order to better understand the specific details of your case. Dental x-rays also provide an image to compare the results of your oral surgery. Dental x-rays are used in diagnosing dental conditions that are not easily detected by the naked eye. A cone beam CT scan uses imaging technology to produce 3-dimensional images of the jaw. A cone beam CT scan allows for a more precise and accurate diagnosis for a variety of oral conditions and can provide additional information about the soft tissues, nerves, and jawbone. During a cone beam CT scan, the patient sits comfortably while the device circles around the patient’s head, capturing detailed images of the mouth. Dr. Pashapour will be able to determine if you require a jawbone graft or sinus lift depending on the results of your cone beam CT scan. A cone beam CT scan provides a more detailed view of the jaw and is often used for diagnosing conditions that require further analysis than a dental x-ray. An intraoral camera is a revolutionary diagnostic tool that gives a closer view of the internal structures of the mouth. An intraoral camera allows for multiple viewing angles of the mouth that are not achievable without this technology. Dr. Pashapour has increased maneuverability with an intraoral camera, allowing him to precisely view specific portions of the mouth. The view captured from an intraoral camera will be displayed on a monitor, allowing a live view of the internal structures of the mouth. Dr. Pashapour can show his patients first-hand the views that are gained through this intraoral camera. Oral cancer screenings are an important tool for oral health that can detect the beginning signs of an oral tumor or cancer. The early detection of oral cancer can allow for a more successful treatment regimen to be created in a timely manner. If Dr. Pashapour finds a suspicious growth, lesion, or bump in the mouth, he can take a biopsy of this anomaly and send it out for testing. Fortunately, in the majority of cases, these growths are benign and can be treated quickly.